Weighty Matters: Anyone in Ottawa wanna punch me? Train with me free for a month. Anyone in Ottawa wanna punch me? Train with me free for a month. Growing up I was a disaster romantically. Looking back it seems like either I was pining after someone who wasn't interested, or I was in the midst of some sitcom-esque, disastrous relationship with me playing a markedly overly dramatic, hapless suitor. 1993 was pretty typical. Crash and burn relationship, me thinking the world was ending and comforting myself by embracing my misery. I needed an outlet. At a Passover seder my cousin Amelia chatted with me about a new martial art she was taking. It was called Gorindo and she described it as spiritual, non-aggressive, a fantastic workout and a lot of fun. 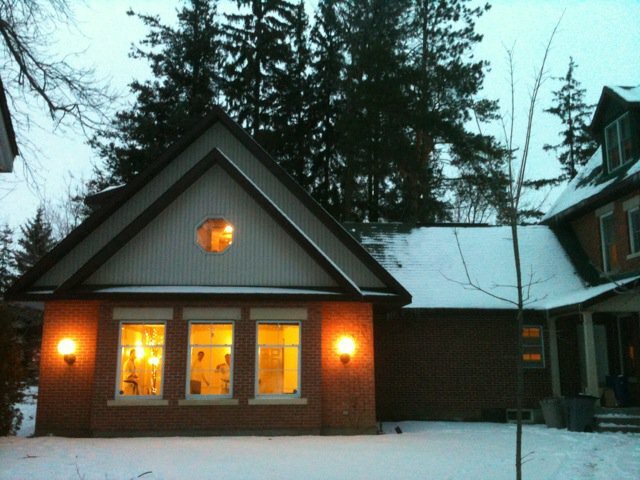 I decided to give it a go and I trained right through medical school until I moved to Ottawa. My sensei, Claudio Iedwab, is from Argentina. He's one of those lucky folks who in many ways has retained the enthusiasm of childhood and he's always got a mischievous gleam in his eye. As a martial artist, Claudio's exemplary. In addition to his 6th dan in Gorindo, Claudio is also a 5th dan in Moo Duk Kwan Taekwondo, a 5th dan in Jujitsu, 3rd dan in Shotokan Karate-do and was once the South American Taekwondo Champion. He created Gorindo in response to what he felt was a North American overemphasis on the "martial", rather than the "art", and its name means five ring art. 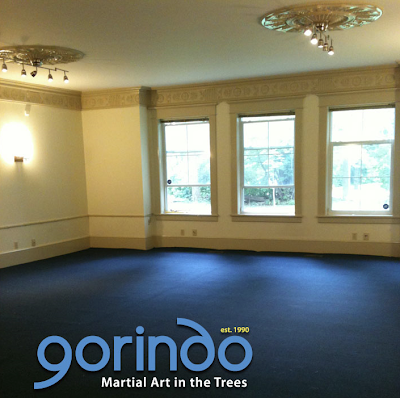 The five rings of Gorindo include Taekwondo (Moo Duk Kwan), Karate-do (Shotokan), Ju Jutsu, Savate (a French foot-boxing style) and Yoga. Mentally for me Gorindo was a godsend. It helped to clear my head, improve my mood and helped me to focus during some difficult times. Physically it was also a godsend as by means of incredibly varied workouts, my chronic back pain disappeared. It has also helped me a great deal with my balance, flexibility, focus and coordination. Thankfully, after moving to Ottawa I met my wonderful wife and as the best man at my wedding put it, he knew she was the one for me as there was no drama. Sadly, after moving to Ottawa, my Gorindo stopped. I tried to find a dojo I liked here, but every one I auditioned seemed to me to be either too aggressive, or too business-like for me to feel comfortable. Two years ago I decided I'd try to track down Claudio just to say hi and I was thrilled to find out he was living in the Gatineau. He didn't have a dojo anymore - was working more on his other projects, but was still available for private teaching. I jumped on the chance to have him come and teach me privately and for nearly 2 years he'd come by my office twice a week to train. I think our training together relit his teaching bug and about a year ago he started to look for a location to open an Ottawa Gorindo dojo. Finally last fall he found an old homestead that had been converted to office space that was just a few short minutes from my office. He calls it his, "candy box" and truly, it's a very special space. He's spent a few months working the kinks out of the new place and come this New Year, he's ready to start promoting it to the general public and I asked him if I could blog about it on his behalf. So here's the scoop. If you're a blog reader and you're interested in trying something that for me was without exaggeration life changing, or if you've been looking for the opportunity to punch or kick me, Claudio's offered to extend to my readers a free month of training - no strings attached. Pop in before February during class hours at 6 Deakin Street (Prince of Wales and West Hunt Club right near the Met church), or contact Claudio via email or give him a call - say you've come from Weighty Matters and away you go. There you'll have a chance to meet Claudio, his wife and 3rd dan Roxanne, and potentially you'll get your shot to get your shot at me. Remember, this offer expires in February - and given that you've truly got nothing to lose and perhaps something wonderful to gain, why not take Claudio up on it?